When considering flooring options for your basement, epoxy is an option that should never be overlooked. This material offers many advantages over other flooring materials, some of which make it particularly suitable for the basement environment. Let’s take a look at the properties of epoxy so you can decide whether it is the right option for your home. 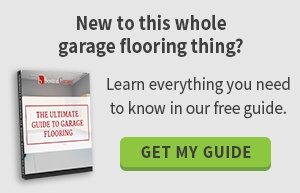 What is Epoxy For Your Basement Floor? 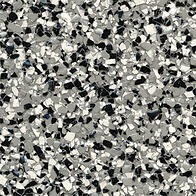 Epoxy flooring is made from synthetic polymers that set to form a strong, plastic-like material. You can use epoxy to cover a concrete floor, such as the type that is present in the basement of many homes. Some people use epoxy floors to cover concrete foundations that are rough or damaged as they can create a smooth surface. Once set, epoxy coatings are very durable and robust. They can stand up to many years of use and resist exposure to many chemicals. 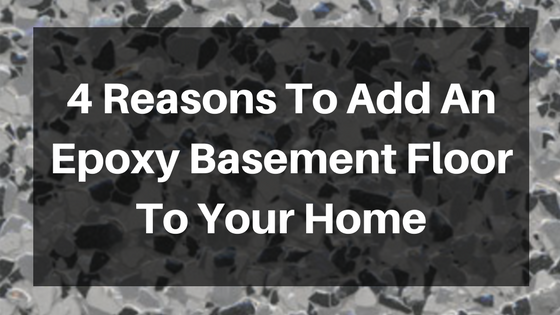 These properties make epoxy the go-to choice for many basement renovation projects. To fully understand the benefits of choosing an epoxy floor for your basement, let’s take a look at each of its features in turn. Epoxy is virtually waterproof, which means it can protect the floor beneath it from moisture. If your basement is damp, it can be very important to protect each part of the structure from moisture, as mold and mildew can begin to thrive in this kind of environment. Epoxy flooring is also a good option for protecting against spills and leaks, as it can help to prevent large amounts of water from seeping through to the concrete foundations of your home, keeping the potential damage to a minimum. Unlike wood, epoxy doesn’t warp in damp environments, so you do not have to worry about poor ventilation causing your basement floor to buckle. Whether conditions are wet or dry, you can enjoy spending time in your basement, as your epoxy floor will be able to cope with a wide range of humidity levels. Whether you are planning to use your basement to expand the living space in your home or simply as a place to store items you do not use very often, having a floor that is easy to clean can make your life easier. Epoxy flooring is a fantastic option if you are looking to spend as little time and effort as possible keeping your basement clean. The smooth surface means that dirt and dust can easily be vacuumed up or swept away, while spills and stains can be quickly and easily wiped up with a damp cloth. If your floor does start to look grubby after periods of heavy use, all you need to do is use a foam mop and a diluted solution of ammonia and hot water to bring it back to pristine condition. For many homeowners, the most important feature of a basement floor is durability. The last thing you want is to have to revisit your basement renovation project in a year or two because the floor you chose is beginning to show signs of wear. 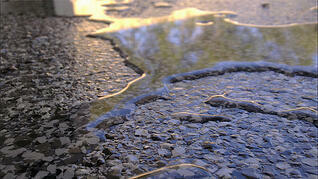 Epoxy is becoming a very popular choice among Boston homeowners due to its durability. You can get many years of use out of a high quality epoxy basement floor without worrying about it beginning to develop worn spots or peel away from the underlying surface. As you have seen, there are many good reasons to consider epoxy for your Boston home’s basement floor. If you need to find out more about epoxy, or want to see the range of designs that are currently available, get in touch with Boston Garage today. We can help you find the perfect flooring for your home’s basement. Epoxy basement floors are very practical, but that does not mean they lack an aesthetic quality. Many Boston epoxy basement floor owners choose this option because of its attractive appearance. Epoxy floors come in many different colors and styles, allowing you to match the pattern and shade of your flooring to the overall design of your basement. Choose a brightly colored epoxy floor to give your basement redesign project a wow factor, or opt for a more muted tone to create a calming space in which you can relax. Whatever your style preferences, you are sure to find an epoxy floor that can fit into your artistic vision for your basement. If you are looking for a truly special design, check out the range of decorative flake floor coatings from Boston Garage. These decorative floors have the look of stunning granite or terrazzo, while offering all the practical benefits of epoxy. Installing a natural stone floor in your home’s basement may not be practical or affordable, but you don’t have to give up on design plans that include the beautiful natural patterns found in stone. Epoxy floors offer a very similar appearance, but have much lower maintenance and cleaning requirements.